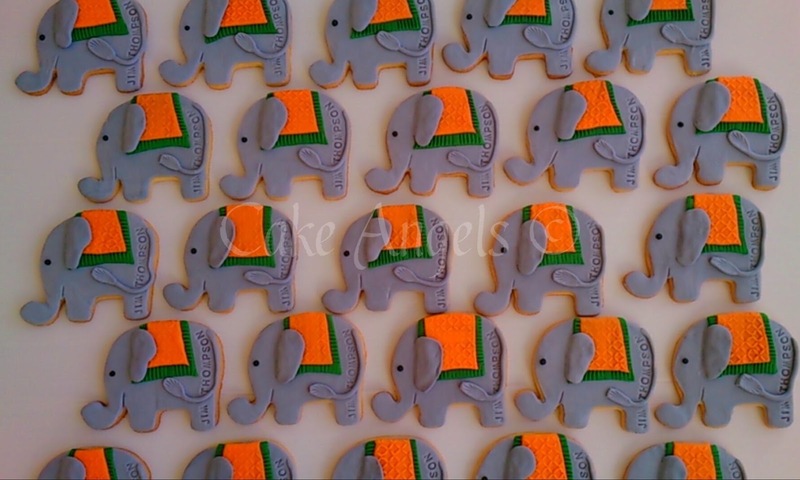 Elephant Cookies for a 'Jim Thompson' product launch at Atelier Textiles in Auckland. Thank you so much for making the cookies for us! My boss absolutely LOVED them, and said straight away that she wanted to use your service again, they were decorated to perfection J She was also impressed with the cost and thought they were really well priced too! I still cannot believe how accommodating you were to our order given the time frame we gave you, so we really really thank you for that! You really did help us out big time!! The colours of the elephant were spot on too, both the green and orange fit the Jim Thompson colour scheme perfectly. Thanks again, Looking forward to working with you in the future.